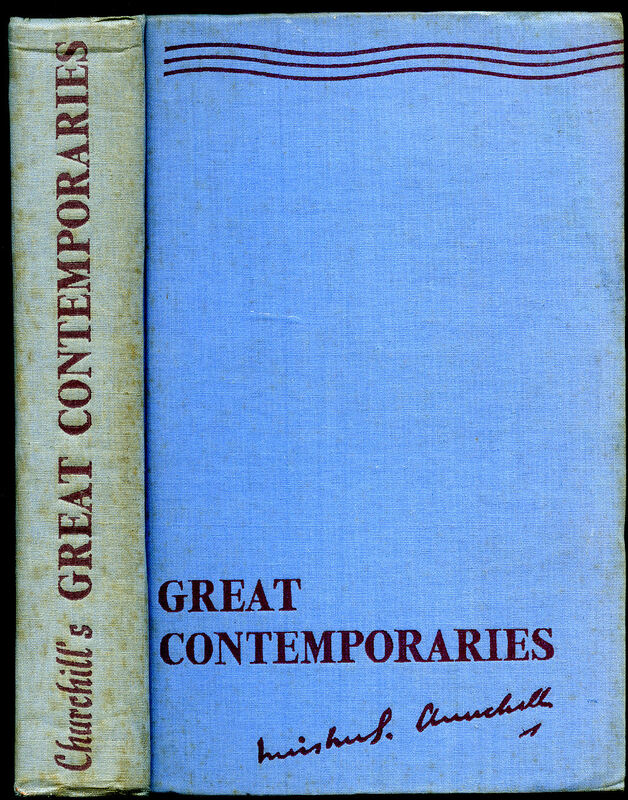 Published by Royal Academy of Arts 1959. 1959. Card covers. 44 full page paintings, 12 in colour. 10" x 7". Small crease lines to corners, stain to inside lower cover. Very Good condition. Member of the P.B.F.A. 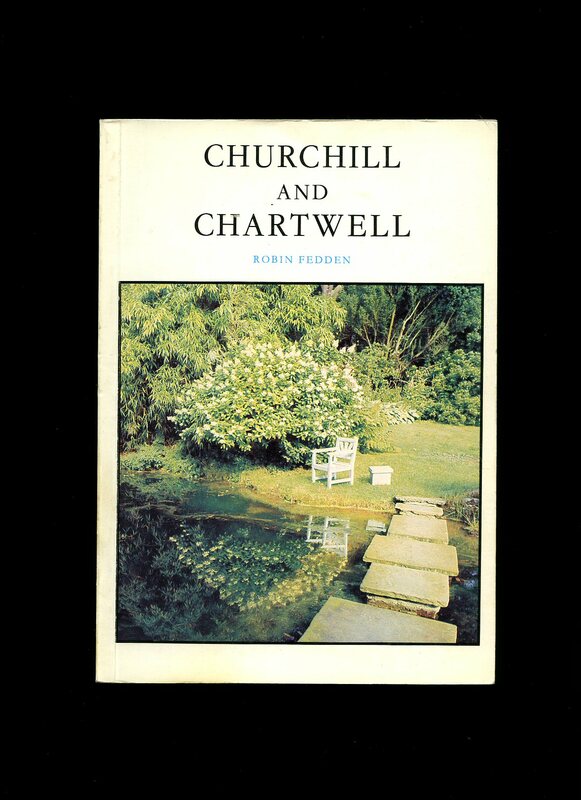 Published by Andre Deutsch Ltd., 105 Great Russell Street, London First Edition 1977. 1977. First edition hard back publisher's original navy/white pattern cloth covers, gilt stamping to spine. 4to 9½" x 6½" 528 pp. Maps to end papers, monochrome photographic illustrations on matt paper. Fine in Fine price clipped dust wrapper with hint of fading to spine. Dust wrapper protected. Member of the P.B.F.A. 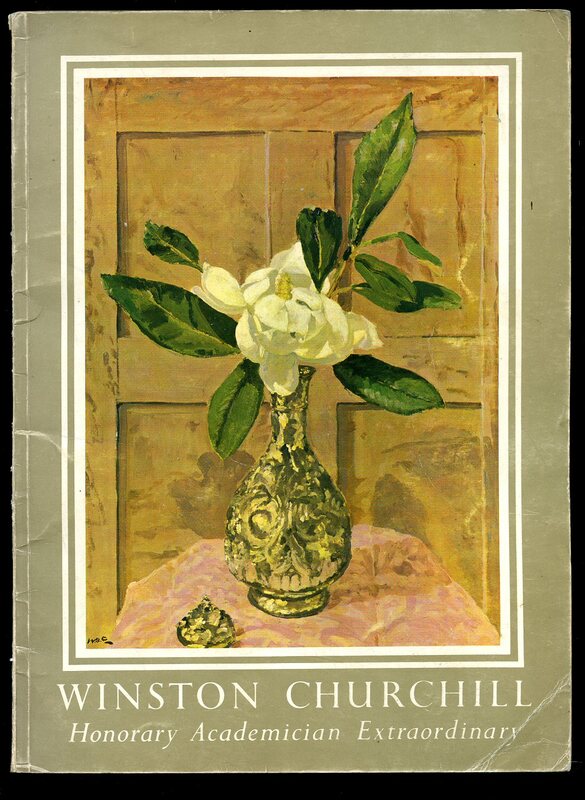 Published by Hodder and Stoughton Limited, London First Edition 1941. 1941. First edition hard back publisher's original green cloth covers, gilt stamping to spine and upper panel. 347 pp. Ink message to front free end paper. In Very Near Fine condition, no dust wrapper. Member of the P.B.F.A. Published by Pergamon Press Ltd., Oxford 1977 reprinted edition with corrections. 1977. Illustrated card wraps. Monochrome illustrations. 60 pp. In Nr. Fine condition. Member of the P.B.F.A. 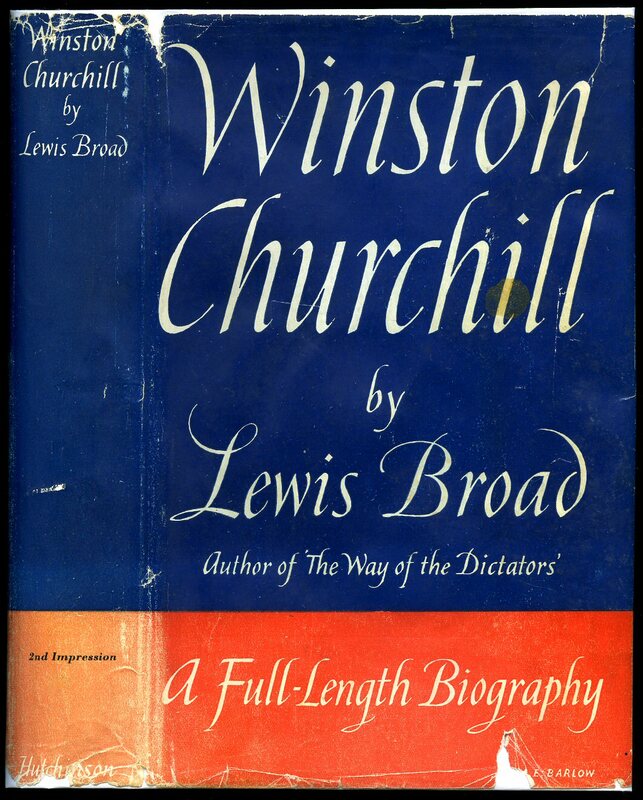 Published by Cassell & Company Ltd., 37-38 St. Andrew's Hill, London First Edition 1949. 1949. First edition hard back binding in publisher's original black cloth covers, gilt title and author lettering to the spine. 8vo. 8½'' x 5½''. Contains [xvi] 684 printed pages of text. Very Good condition book in Good condition dust wrapper with 70 mm closed tear to the top front gutter, rubs to the spine ends and corners, slight darkening to the fore edges, not price clipped 25s. Dust wrapper supplied in archive acetate film protection, it is not adhered to the book or to the dust wrapper. 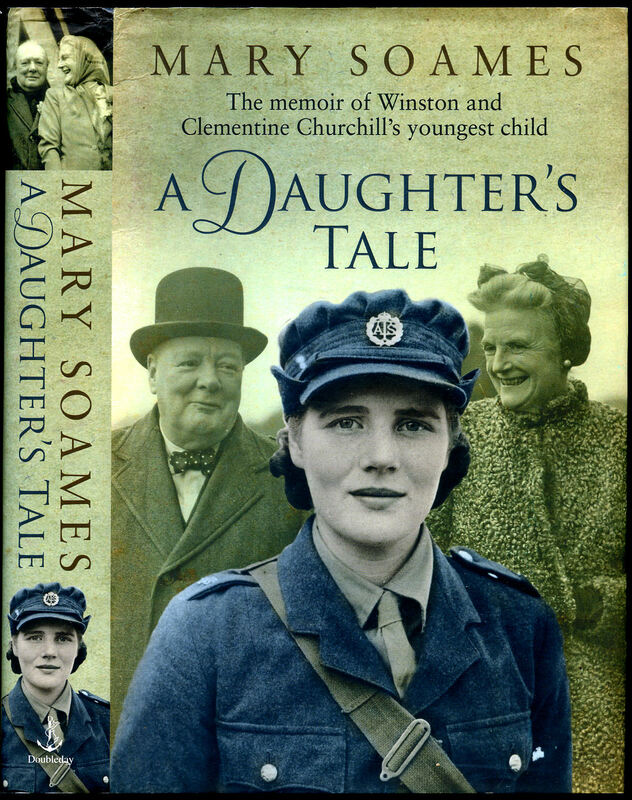 We currently hold in stock 35 other titles by this author. Member of the P.B.F.A. Published by Photochrom Co. Ltd., Graphic Studies, Tunbridge Wells circa 1955 edition not stated. 1955. Publisher's original pictorial stapled paper wraps. 'Photochrom Midget Book'. 16mo 4¾" x 3½" 32 pp. Sepia photographs to every page with caption below. Faint diagonal crease line to upper. In Very Good condition. Member of the P.B.F.A. 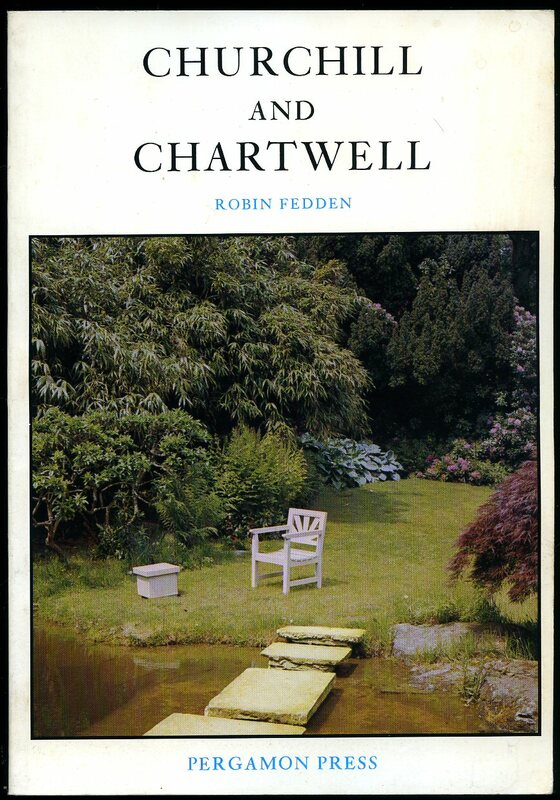 Published by The National Trust 1984 reprinted edition with amendments. Publisher's original illustrated semi laminated card covers. 8vo 8¼" x 6" 64 pp. Monochrome photographic illustrations on semi glossy paper. Very Nr. Fine condition. Member of the P.B.F.A. 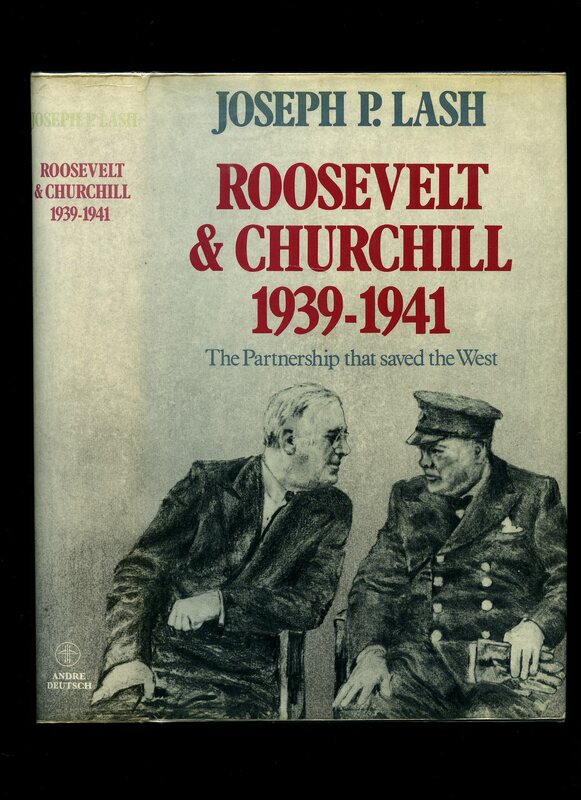 Published by Doubleday, Transworld Publishers, 61-63 Uxbridge Road, London Second Edition 2011. 2011. Hodder and Stoughton Limited, London 1945 reprinted edition. 1945. Hard back bound in publisher's original light brown cloth covers, navy stamping to spine and upper panel. 8vo 7½" x 5¼" 347 pp. In Very Good condition, no dust wrapper. Member of the P.B.F.A. 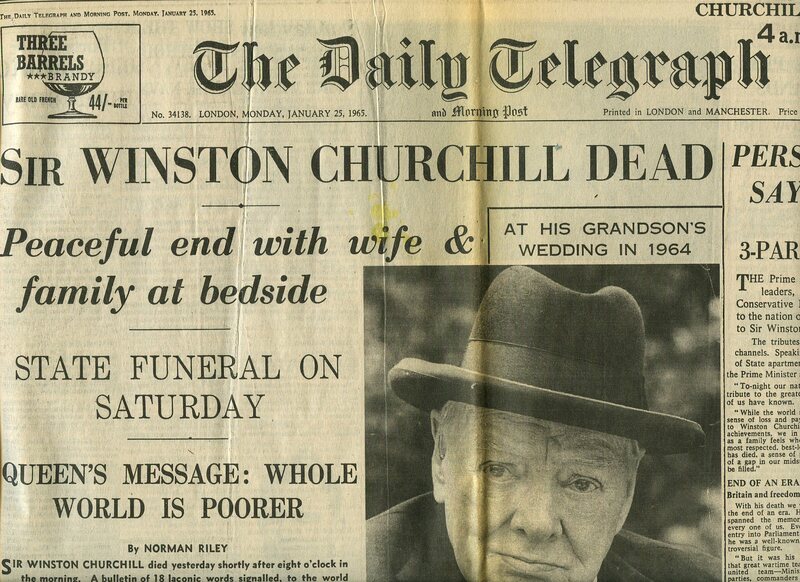 The Daily Telegraph Ltd., 135 Fleet Street, London Monday January 25th 1965. 1965. Newspaper front cover leading story. Light tanning to edges and in Very Good condition. Member of the P.B.F.A. 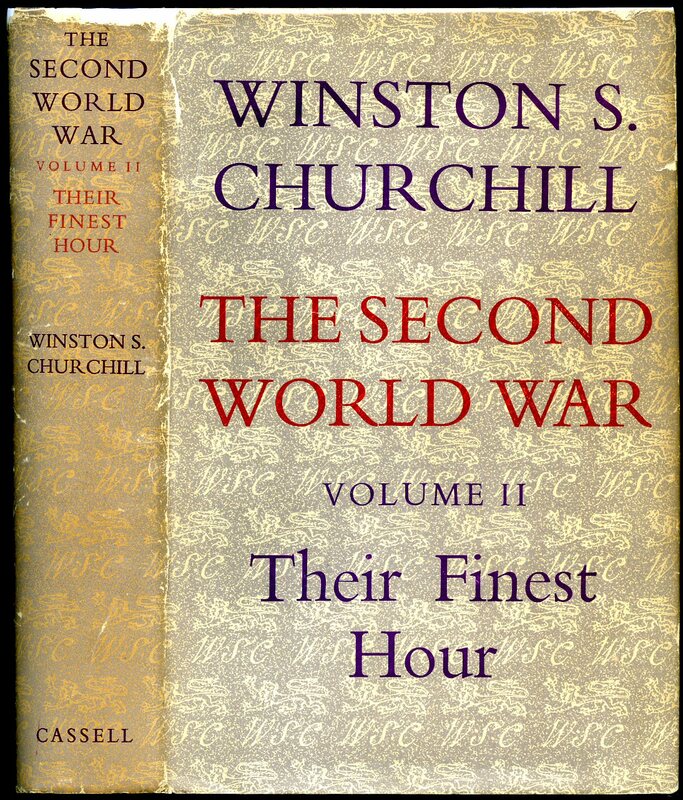 Churchill, Winston Leonard Spencer [1874-1965] Earl of Rosebery, Kaiser, George Bernard Shaw, Lawrence of Arabia, Marshal Foch, Leon Trotsky, Adolf Hitler, Philip Snowden, King George V, Charles Stuart Parnell, Theodore Roosevelt. Published by Readers Union Ltd., and Thornton Butterworth Ltd., 1939. 1939. Hard back binding in publisher's original powder blue cloth covers, russet title and author lettering to the spine and to the front cover. 8vo. 8½'' x 5¼''. Contains 387 printed pages of text with monochrome photographs throughout. Spine very slightly sun faded, text block in near Fine condition, no dust wrapper. Member of the P.B.F.A. 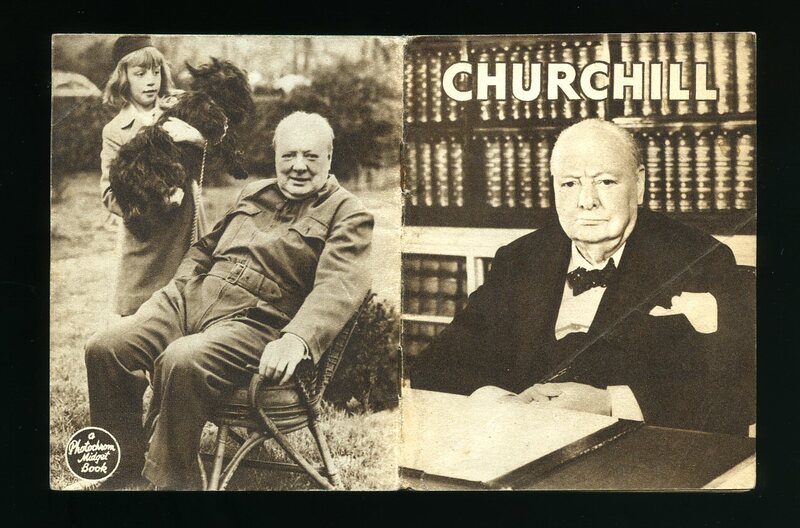 Winston Churchill Memorial Trust, London First edition 1985. 1985. First edition hard back binding in publisher's original burgundy cloth covers, gilt lettering to spine and upper panel. 8vo 9½" x 6¼" 107 pp ISBN 0951002805. Colour frontispiece. 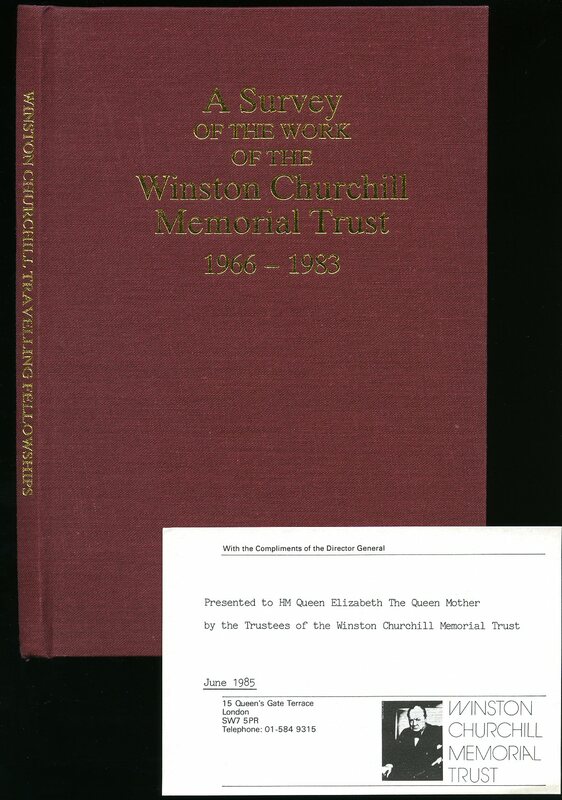 'Winston Churchill Memorial Trust' compliments slip 4" x 6" 'Presented to HM Queen Elizabeth The Queen Mother by the Trustees of the Winston Churchill Memorial Trust June 1985. With the Compliments of the Director General.' In Fine condition. Member of the P.B.F.A. 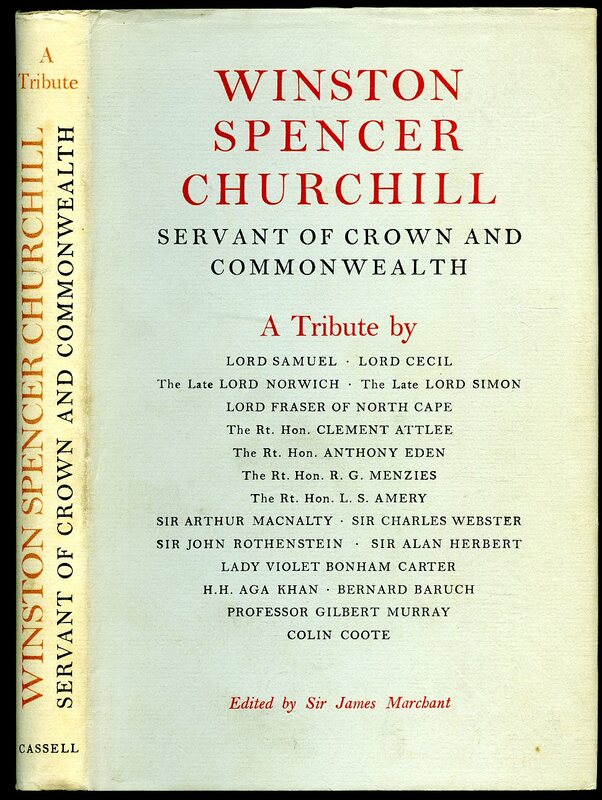 Published by Cassell & Company, Ltd., 37-38 St. Andrew's Hill, London First Edition 1954. 1954. First edition hard back binding in publisher's original navy cloth covers, gilt lettering to spine. 8vo 8½" x 5¼" 172 pp. Monochrome photographic frontispiece. Not a scarce title but this copy very nearly Fine in near Fine dust wrapper with only tiny nicks to top of lower panel, not price clipped 12/6. Dust wrapper supplied in archival acetate film protection. Member of the P.B.F.A. Hutchinson & Co. Ltd., 17-21 Conway Street, London Second edition not dated [First edition 1941]. 1941. 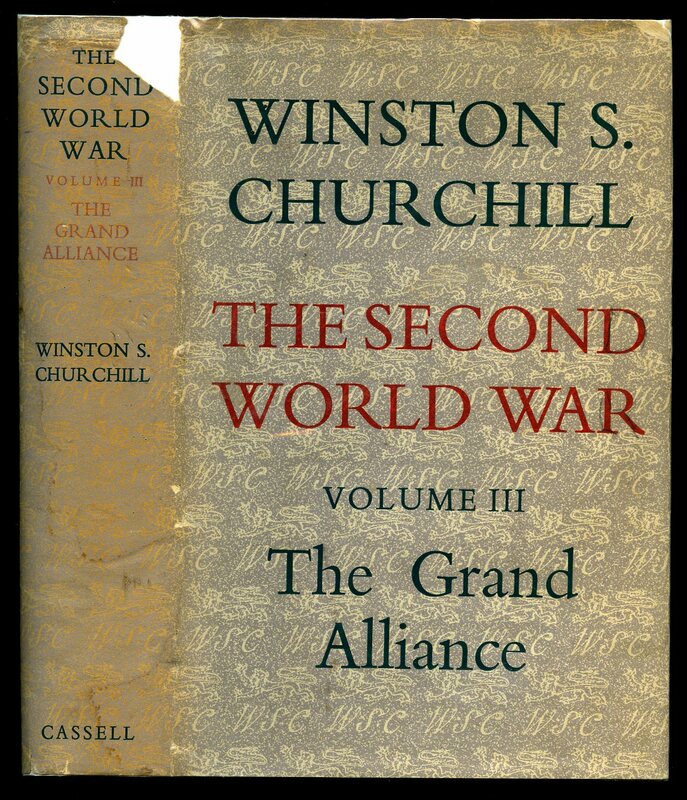 Hard back binding in publisher's original navy cloth covers, white lettering to spine. 8vo 9" x 6¼" xvi, 364 [pp]. Monochrome frontispiece. Former bookplate to front end paper. Very Good in Good dust wrapper with small chips and related closed tears to edges and spine tips, spine very slightly faded, not price clipped 12/6. Dust wrapper supplied in archival acetate film protection. Member of the P.B.F.A. 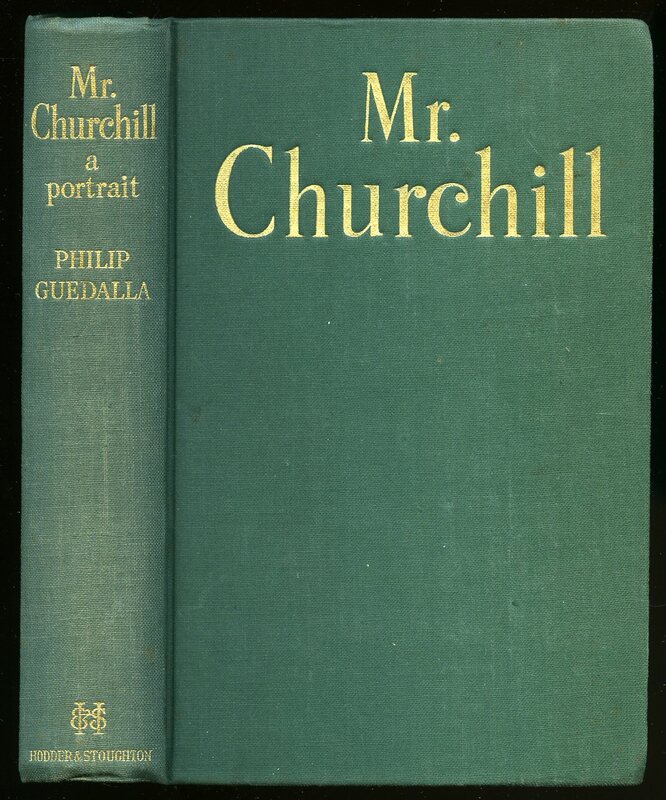 Published by Cassell & Company Ltd., 37-38 St. Andrew's Hill, London First Edition 1950. London 1950. First edition hard back binding in publisher's original black cloth covers, gilt title and author lettering to the spine. 8vo. 8½'' x 5½''. Contains [xvi] 818 printed pages of text. Very Good condition book in Very Good condition dust wrapper with small v-shaped chip to the top right hand-side of the spine, not price clipped 25s. Dust wrapper supplied in archive acetate film protection, this preserves and prolongs the life of the paper, it is not adhered to the book or to the dust wrapper. We currently hold in stock 35 other titles by this author. Member of the P.B.F.A.